$9 by the 30 Lb. Bag. 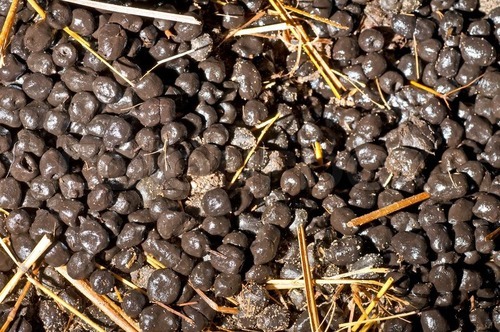 Although lower in organic matter than other traditional manures, alpaca manure has a lot of value in the garden. In fact, many gardeners find this type of manure to be an excellent source of nutrients for optimal soil and plant health. Let’s look at, “How do I use alpaca manure as fertilizer” and if alpaca manure is a good fertilizer. Is Alpaca Manure Good Fertilizer? Using alpaca manure as fertilizer is beneficial. Even with its lower organic content, alpaca manure is considered a rich soil conditioner. Alpaca fertilizer improves the soil quality and its ability to retain water. It is also good for plants, providing a fair amount of nitrogen and potassium and about average levels of phosphorus. Since alpaca manure is mostly found in pellet form and doesn’t have the same components as other livestock feeders, like cows and horses, it does not need to be aged or composted before use. You can spread it directly onto garden plants without burning them. Best of all, it does not contain any weed seeds so there’s no worry about plucking sprouts from the garden following application, as with some types of manure. How Do I Use Alpaca Manure as Fertilizer? Generally, you can find bags of alpaca manure available from online retailers or alpaca farmers (Like Double G Alpacas!). Those raising alpacas can even obtain it straight from the source. When using alpaca fertilizer, you can put it on top of the garden soil and then water it or wait and let the rain help soak it in. For those in colder climates, you can also spread the manure over snow-filled garden beds and allow it to soak into the soil as the snow melts. Either way, alpaca manure breaks down rather quickly. Alpaca manure tea is another option for fertilizing garden plants. This is especially helpful for giving seedlings a jump start. Simply mix about a third cup of alpaca manure to every two-thirds cup of water and let it sit overnight. Then, use the manure tea to water your plants. Although composting alpaca manure is not necessary, doing so is easy. Composted alpaca manure can offer additional benefits as well. One of the easiest ways to create alpaca manure compost is to simply mix it in with other organic materials. As with any compost pile, this is best accomplished by alternating layers of browns and greens—browns being woody materials like small garden debris and leaves, and greens being kitchen scraps like fruit peels, eggshells, etc. This should be kept moist but not wet and turned occasionally. Depending on the amount of compost, it should take anywhere from a few weeks or months to a year before it’s ready for use. Adding worms to the pile will help break everything down quicker in addition to lending their own nutritional value. The finished compost should have a pleasant odor and a nice dark brown to black color. Once added to the soil, composted alpaca manure can help increase crop yields and promote healthy, vigorous plant growth. Whether you add alpaca manure directly to the garden, make manure tea, or use alpaca manure compost, your plants will thrive. In addition, the nearly odorless alpaca fertilizer may even help deter deer pests, as they find its aroma offensive.